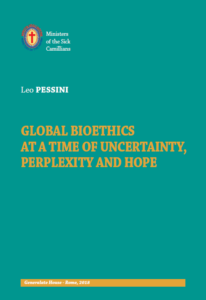 his book, entitled ‘Bioethics in a Time of Uncertainty and Perplexity and Hope’, brings together a number of texts which have already been shared in digital form through the monthly Camillian Newsletter (the world seen from Rome…and Rome seen from the world) and in the quarterly bulletin of the Order, Camilliani/Camillians, published in Italian and English, the two official languages of the Order. 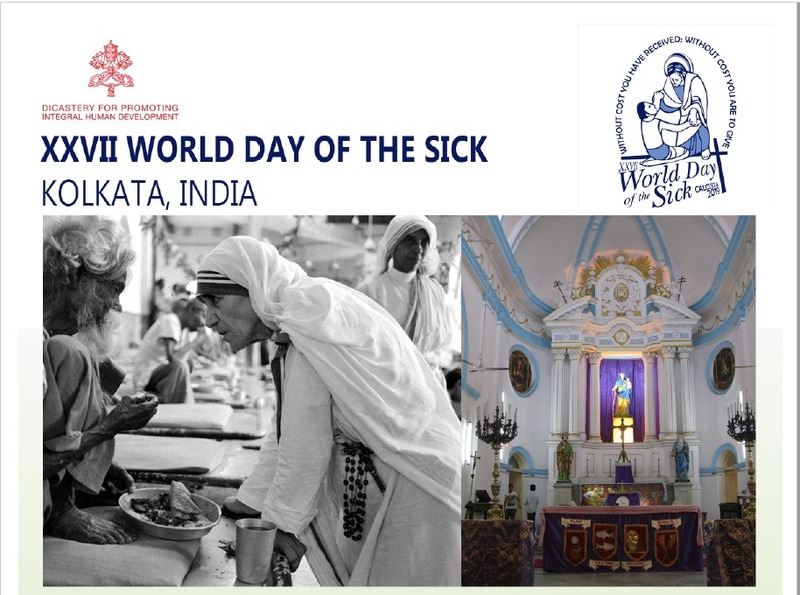 PARTICIPANTS: the Superior Generals, the General Councils and the major Superiors of the Camillians, of the Daughters of the St. Camillus, and of the women Ministers of the Sick; representatives of the Handmaidens of the Incarnation, of the women Missionaries of the Sick ‘Christ our Hope’; and members of the following associations: Stella Maris (Brazil), Kamillianische Schwestern and the Lay Camillian Family. The Catholic and the devout of the Philippines will have an opportunity to honour and venerate a reliquary of St. Camillus de Lellis, the patron saint of the sick, medical doctors, nurses and other health-care workers, from 2 February to 31 March 2019. The monthly spiritual retreat of the Camillian Province of Thailand (the Eastern Zone), animated by Father Sante Tocchetto, began on 24 January 2019. 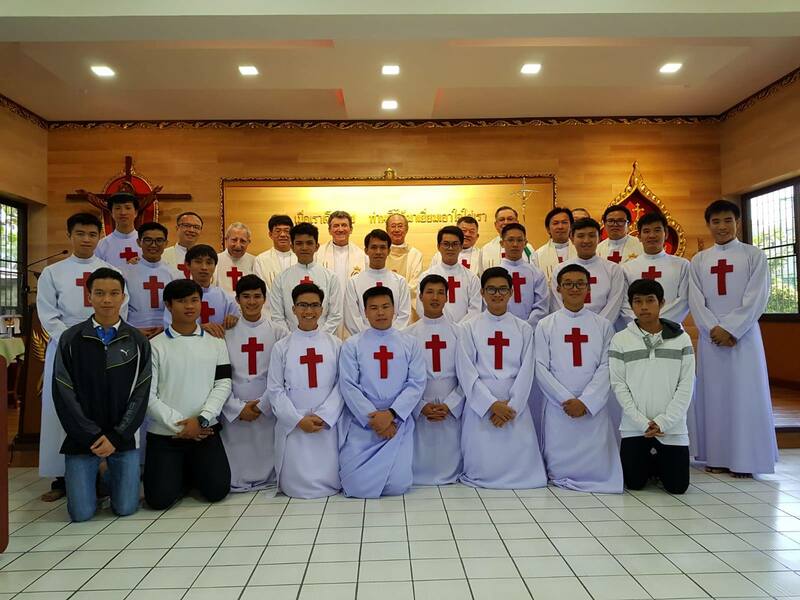 On Sunday 10 February 2019, at the Cathedral of Our Lady of Lourdes in Nakhon Ratchasima, our religious Paul Suphakorn Khantharaska will be ordained a deacon. 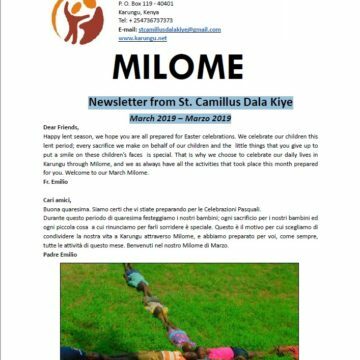 On Wednesday 28 February 2019, in Mottinello, there will be a meeting of ongoing formation for all the religious of the Province on the subject: ‘The Reforming Project of Fr. 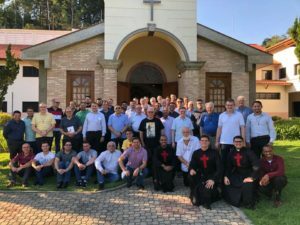 Camillo Cesare Bresciani: Suggestions for the Present of Consecrated Life in our Province’. Speaker: Father Angelo Brusco. This meeting carries on from those of last year when we reflected upon the figure of Saint Camillus. 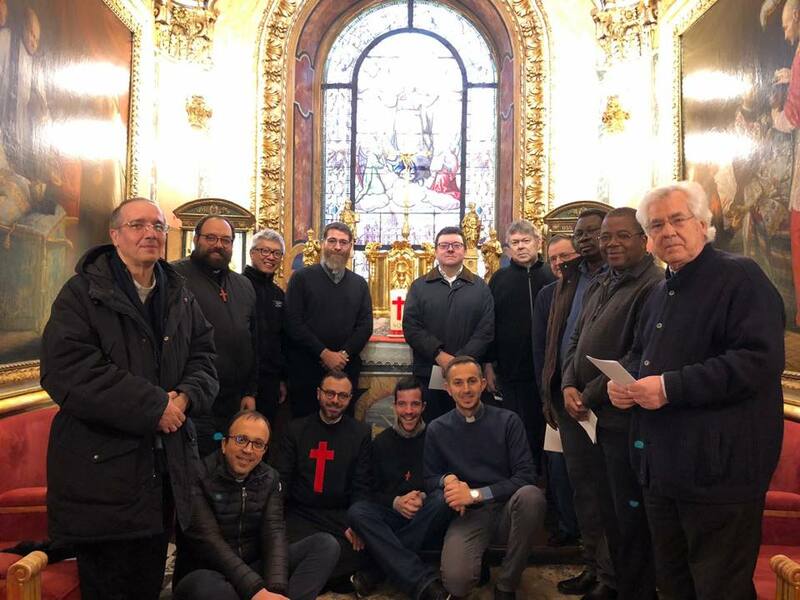 Now we will look for some forms for the actualisation of our charism examining the eminent figure of Father Camillo Cesare Bresciani. ‘New in Christ: a Loving Heart to Love and Serve’. This is the subject that was chosen by the Camillian Province of Brazil to celebrate the Camillian Vocational Year of 2019. The idea of having a year dedicated in particular to the vocation of the Camillians was born to celebrate our charism, to spread it further, and thus to create greater nearness to our young men during their period of discernment about their vocation. 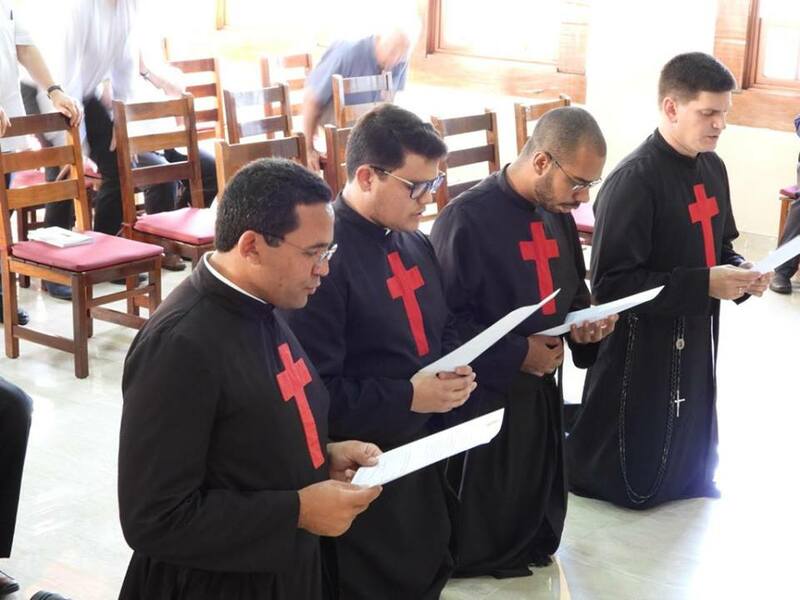 In addition, this Vocational Year has the purpose of promoting in Camillian religious a strengthening of our consecration to Christ and our identity as promoters of life and health. 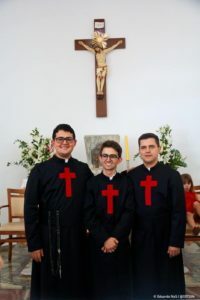 The first religious profession of three novices of the Camillian Province of Brazil: Danilo Servilha Rizzi, Eloi Bataglion Junior and Luan Nobre de Macedo. 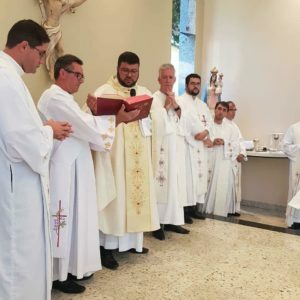 The priestly ordination of Fr. Aécio Honorato da Silva – Brazilian Camillian took place on 19 January 2019. Rinnovazione dei voti religiosi temporanei: Damião José do Nascimento, Edson Pires, Gabriel Barbosa e Lucas Dalbom – durante il ritiro spirituale annuale della provincia. 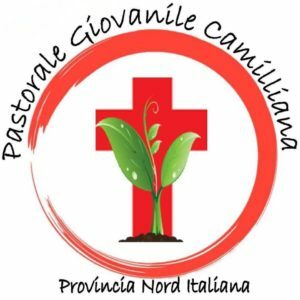 Partecipanti al ritiro annuale della provincia camilliana del Brasile! 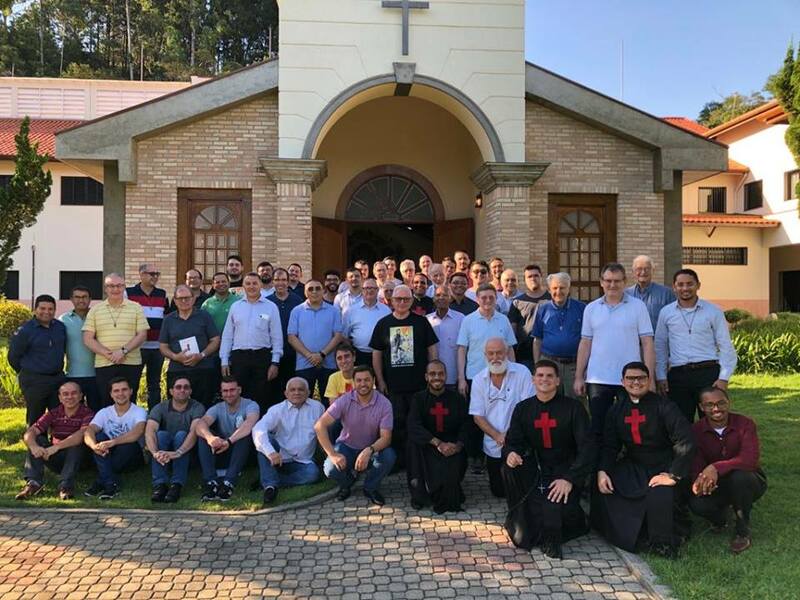 Provincia brasiliana: 1 febbraio 2019 – benedizione della statua pellegrina di San Camillo ed inizio dell’anno vocazionale Camilliano! 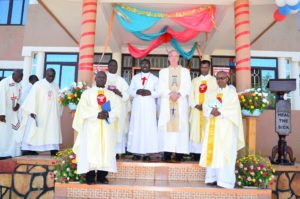 The religious of the Camillian community in Uganda – the Anglo-Irish Province – with joy share some photographs of the perpetual profession of ALIIKIRIZA MATIA which was celebrated on 15 January 2019 in Jinja (Uganda). The opening of the Camillan Vocational Year of the Province of Rome took place at the Cubiculum of Saint Camillus, together with the religious of the community of the Church of St. Mary Magdalene, on 19 January 2019. With the authoritative good wishes of the Apostolic Nuncio of Burkina Faso and Niger, His Excellency Msgr. 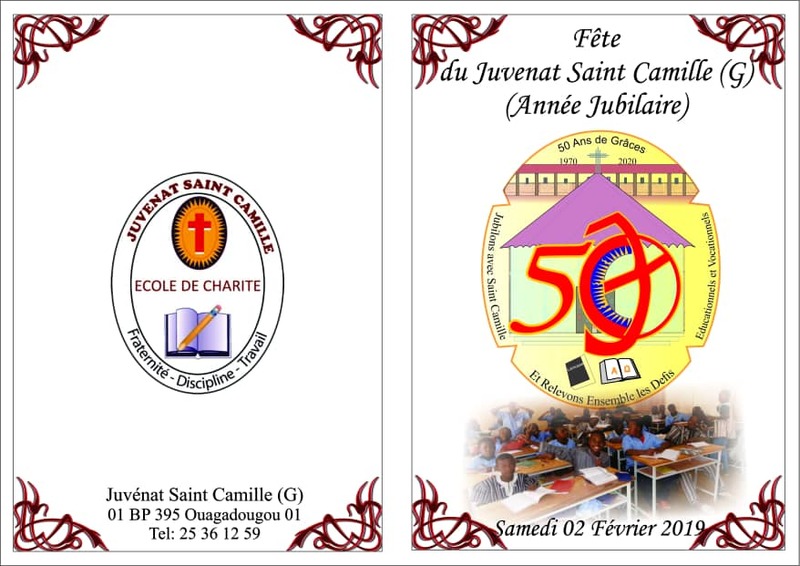 Piergiorgio BERTOLDI, the Camillian religious of the Province of Burkina Faso announce with joy the celebrations to commemorate the fiftieth anniversary of the Juvénat St Camille, a charity school for a large number of young people (fraternity, discipline, work), that will be held on 2 February 2019. In Gallipoli (Le), after the parish mission for the sick that took place at the end of the September, the con-cathedral Parish of St. Agatha and the Association of the saints Cosma and Damiano Medici, wanted to give visibility to the event of this mission through the blessing of a new picture of St. Camllus to be placed in the church of these saints, who were doctors. Fr. 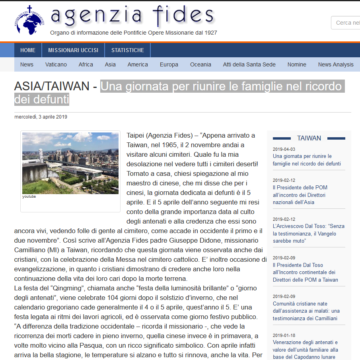 Alfredo M. Tortorella was invited to take part in this event. 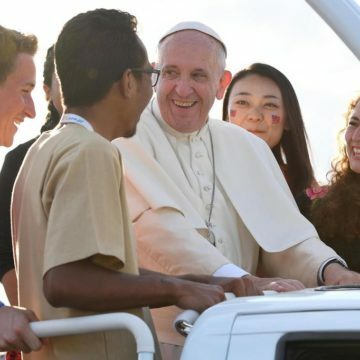 He returned to this city for a weekend of visits to sick people that he had met four months ago when he arrived for the mission together with Fr. 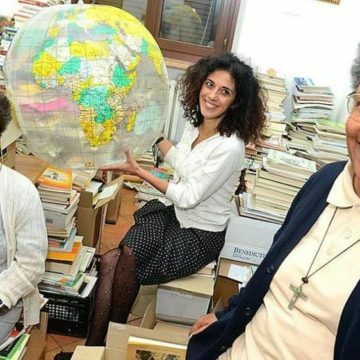 Messina, Sr. Tipy and Sr. Rosanna. Fr. Alredo was now accompanied by Andrea, Marco and Stefano, lay young people of the Parish of Macchia, who together with him on Saturday afternoon paid visits to some sick people and experienced moments of prayer accompanied by music with guitars and saxophones. 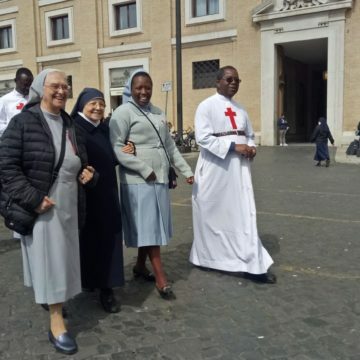 On Sunday afternoon, during the Office of Readings, there was the blessing of the picture of Saint Camillus, the handing over of little red crosses made out of fabric to the associates, and the unveiling of a plaque to commemorate ‘ad perpetuam rei memoriam’, amongst other things, the missionary arrival of the Ministers of the Sick in Gallipoli. The House of Hope celebrated its first decade of activity at the service of charity. 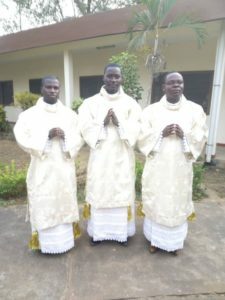 Our best wishes go to our three religious of the Province of Benin-Togo who on Sunday 13 January 2019 were consecrated deacons. From left to right: AKPEGNON Roméo, GATIGLO Théodor, DANDONOUGBO Dimitri. 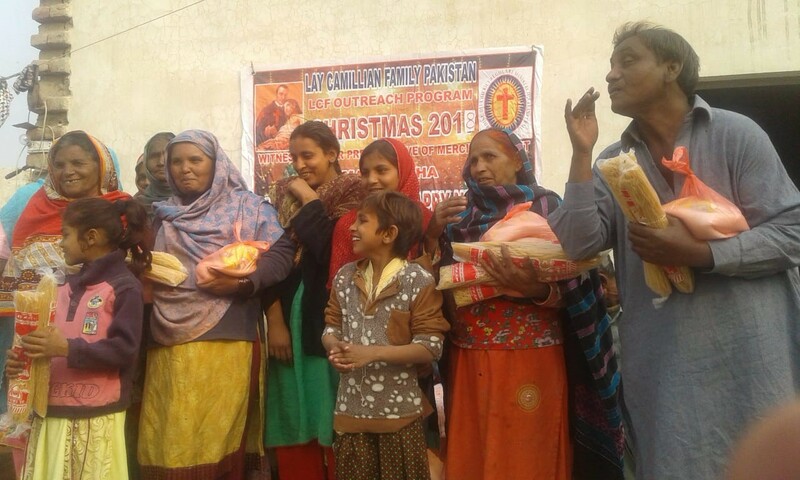 (Okara) The Christmas brings joys for the whole humanity and especially for the Christians. The LCF- Pakistan members, under the leadership of Ms. Asia Aslam and other members, organized an out-reach Christmas program and distributed small gifts among the poor and the sick people in different areas. And on this Christmas, the LCF Pakistan helped Mr. Maand build his house. 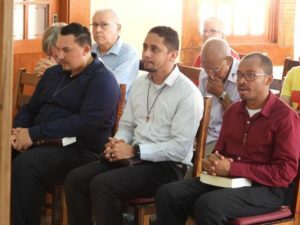 The family saw that intervention a fruit of their answered prayers. 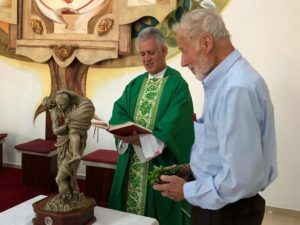 The LCF expresses gratitude to the benefactors, especially Fr. Luigi Galvani, MI, for his great help. 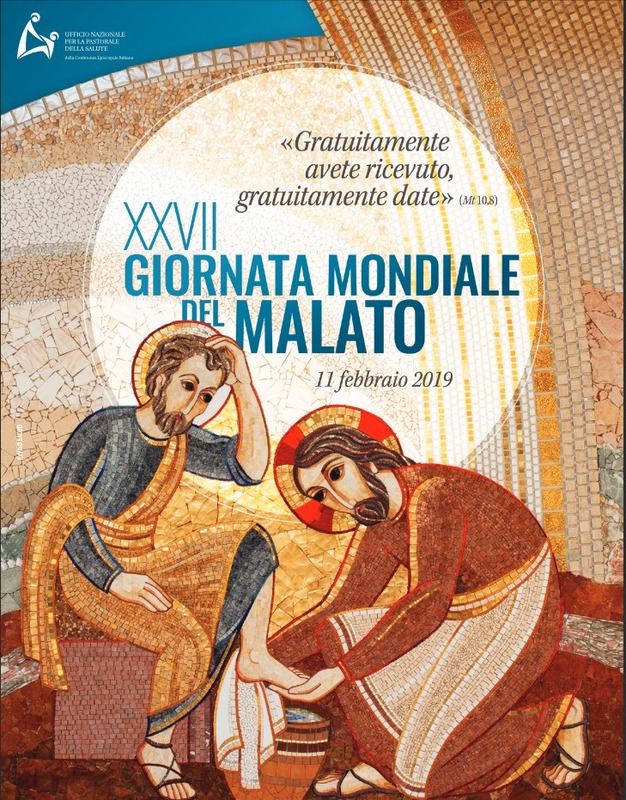 Do you want to come close to the Church of Saint Mary Magdalene, the Chapter Hall, the Museum of St Camillus and the Generalate House of the Camillians? We invite you to take part in the virtual visit created by the Camillian Province of Spain thanks to the cooperation of the Undanet group. 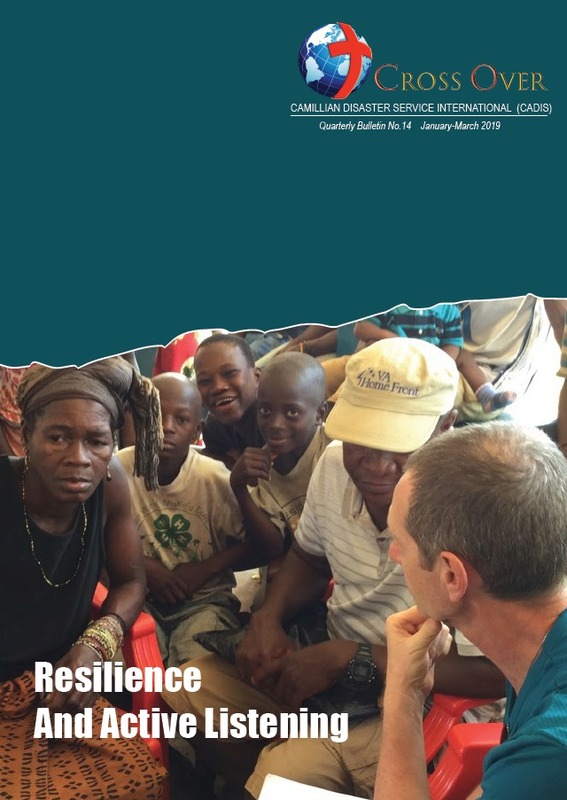 CROSSOVER: download here the new quarterly bulletin of CADIS. . The programme for integral care for people with advanced illnesses of the Obra Social La Caixa celebrated its tenth birthday. 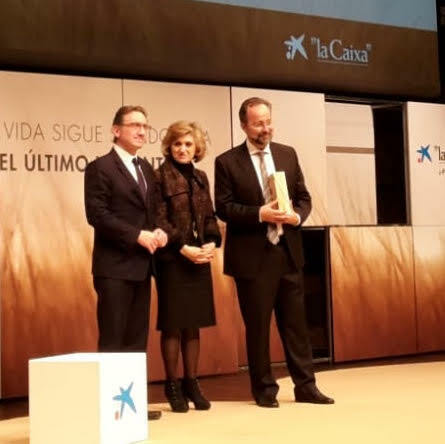 During the celebration, the director, Jaume Giró, together with the Minister of Health, Maria Luisa Carcedo, paid tribute to the work of the centres which offer palliative care in Madrid. 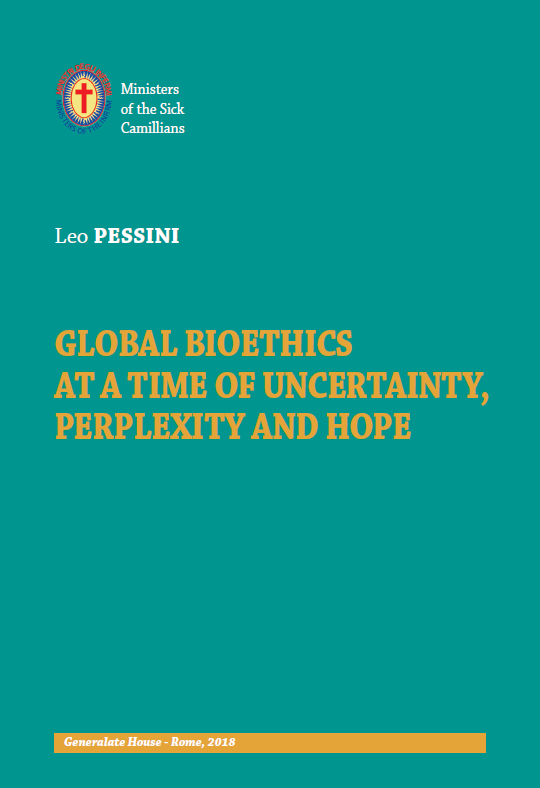 José Carlos Bermejo has worked in the field of formation ever since the beginning of the programme. 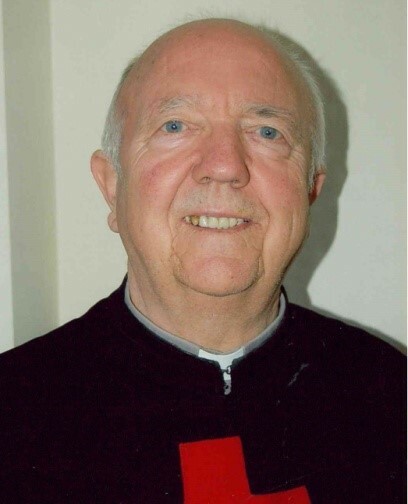 He has also represented the St. Camillus Centre where one of the EAPS provides assistance to people near to death and their families, This is a team with a distinctive tone in the special promotion of care for the spiritual dimension, for voluntary work, for pain, and for accompanying in the unwanted loneliness of the end of life. 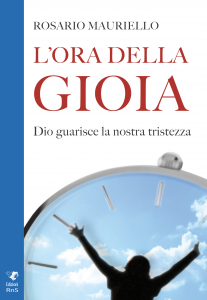 ‘See, now they vanish, the faces and places, with the self which, as it could, loved them. 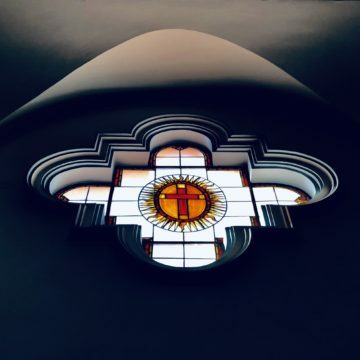 To become renewed, transfigured, in another pattern’ (T.S. Eliot). 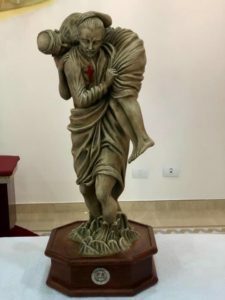 On 24 January 2019 the death took place of Sr. Carolina Di Stefano, a woman religious and Daughter of Saint Camillus, an Italian. 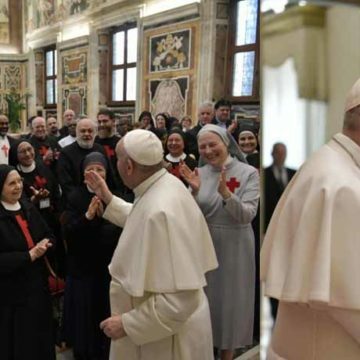 Sr. Carolina was eighty-eight years old and she had spent sixty-six years as a woman religious. 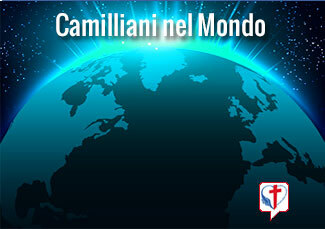 The Camillian religious of the Province of North Italy have announced the death of their Camillian confrere Fr. Antonio Casera (aged 85). 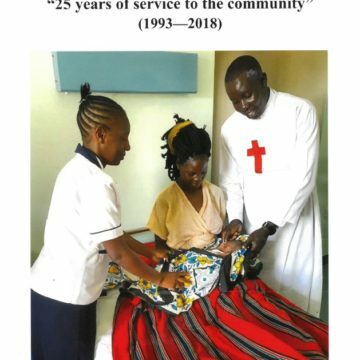 His death took place on 29 January 2019 at the ‘O. 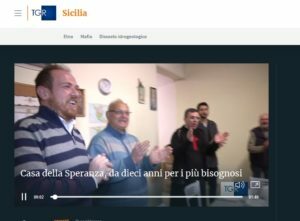 Cerruti’ Camillian Nursing Home of Capriate S. Gervasio (Bergamo). 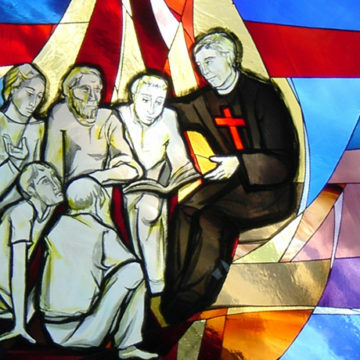 There follows a brief biography of Fr. 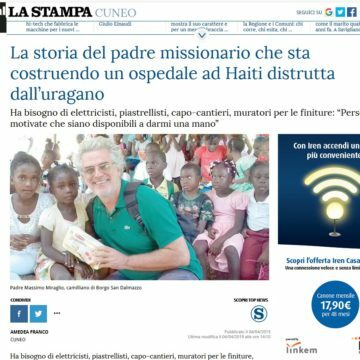 Antonio. ‘Now they live in Christ whom they met in the Church, followed in our vocation, and served in the sick and the suffering. 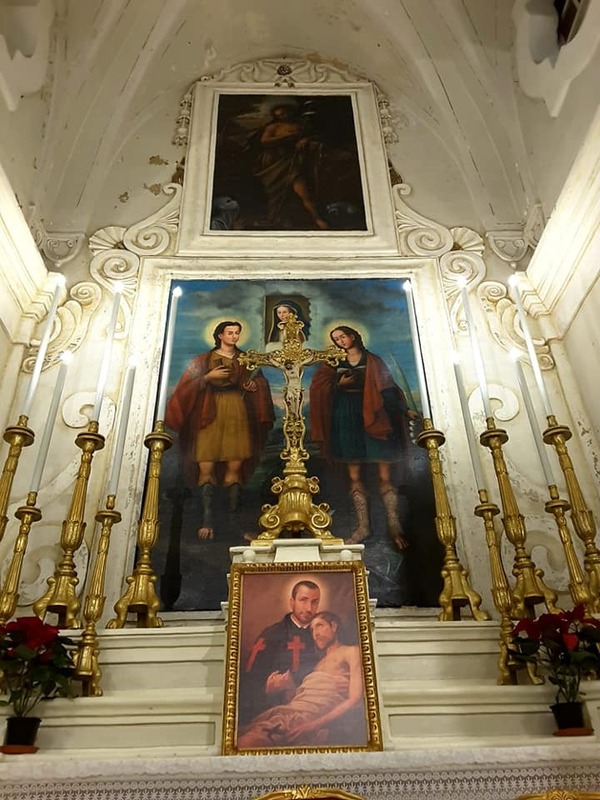 Trusting that the Lord, the Holy Virgin our Queen, St. Camillus, the Blessed Luigi Tezza, the Blessed Giuseppina Vannini, and our deceased religious brothers and sisters, will welcome them in their midst, we commend them in our prayers, remembering them with affection, esteem and gratitude’. You know all of our sadness and our suffering. 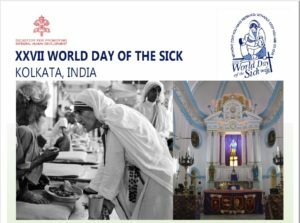 May all the victims of all types of disasters be welcomed in your peace! 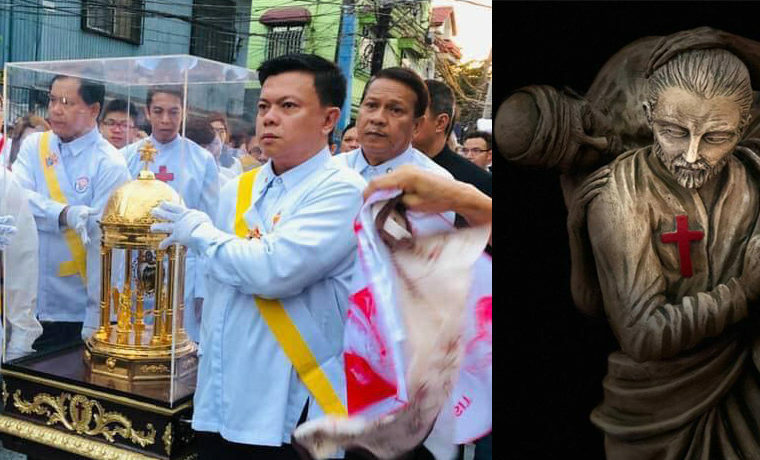 Receive, we pray, in your mercy, our very many brothers and sisters buried by the forces unleashed by nature. Lead them to your home! Comfort the pain of so many families, dry the tears of so many brothers and sisters, offer protection to the loneliness of so many orphans. Instill courage into everyone so that pain is transformed into a journey of growth and hope. Generate in the hearts of Christians and all men and women of good will the wish to act so that the wounded and those who suffer because of these calamities experience the comfort of fraternal solidarity.